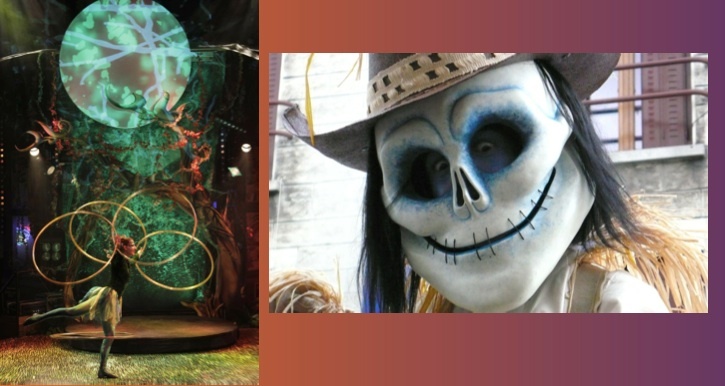 Halloween 2013 – DLRP Roundup! 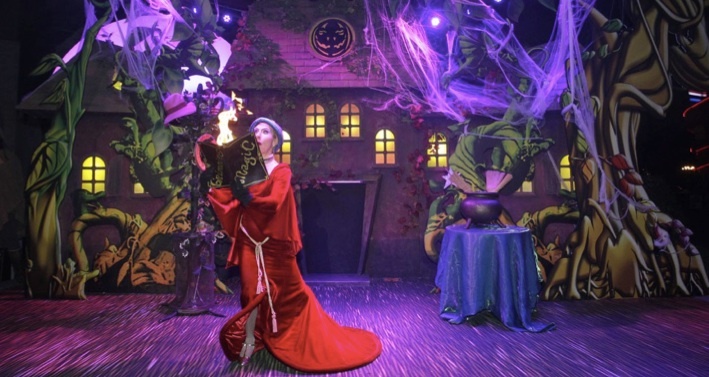 Witches and pumpkins are unleashed into a happy halloween late October, featuring black cats, a sorcerers apprentice, stilted acrobats, hula-hoops and treats during the Halloween festival, culminating with a halloween evening extravaganza on October 31st. All offered for free. 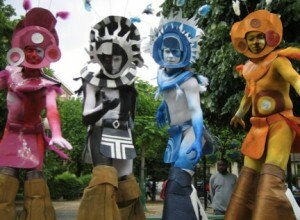 These seasoned stilt dancers offer their own interpretation of the Hopi Indian Kachina dolls, which the American Indians consider to be “spiritual beings”. This spectacular, almost aerial, performance is dazzlingly colourful and recreates the atmosphere of a lively tribal celebration. The Roguish Pumpkins have escaped from the vegetable patch to celebrate Halloween and they’re hell-bent on wreaking havoc! Their aim? Dish out endless chills and thrills with their non-stop comical antics. This trio uses a combination of participatory theatre and pranks, with a repertoire that includes interactive sketches, numerous walkabouts and songs. Striking walkabout performances and larger-than-life masks… this ballet on stilts offers an eclectic mix of weird and wonderful visual poetics and strangely surreal scenes. Unfortunately, they haven’t inherited Carabosse’s powers, and their attempts to startle and scare generally end in song and laughter. Visitors will find a show featuring Hula-Hoop, magic tricks and lots of other surprises on the podium and in the walkway of Disney Village. Lucky and his two dancers have one simple goal: teach the young and not-so-young some easy routines so they can dance to their favourite hits – all in less than 5 minutes. 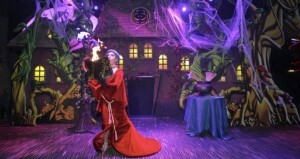 The Halloween party will give guests the opportunity to mix and mingle with the various entertainers who’ve made Disney Village their home. There’ll be face painting in the Village’s streets and restaurants, and sweets will be handed out left, right and centre getting everyone in the party spirit. 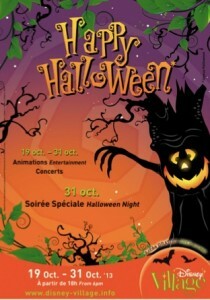 On Air (10:30pm) – A combination of halloween, pop and rock songs. Rock, Pop and all the latest chart-toppers will be blasted out on stage, making for a thrillingly explosive Halloween-style cocktail in honour of this special night. DJ Stefan K (00:00am) – Formerly the resident DJ at Hurricane’s nightclub in Disney Village, this music-lover will set the dance floor on fire by pumping out an eclectic mix of electro, house, pop-rock and Latino tracks. Castle Projections – Future of night entertainment?